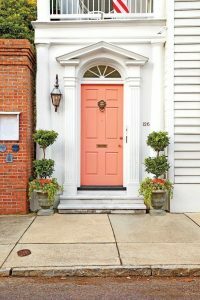 Creating curb appeal may sound expensive if your mind instantly turns to house painting, roof repairs, and lawn treatments. 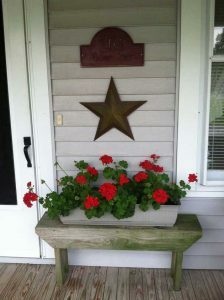 Curb appeal can mean so much more, however. 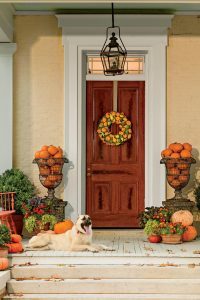 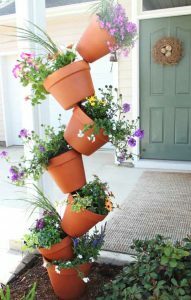 If you read 10 DIY Home Upgrades For Under $50, then you saw some cute ideas that included a few front door decorations. 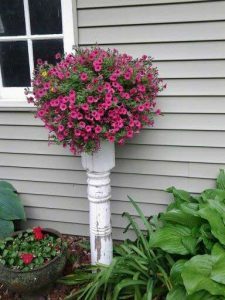 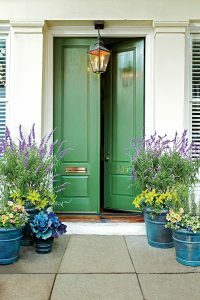 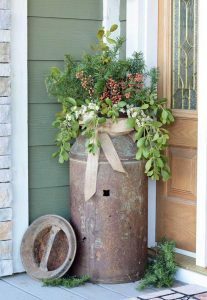 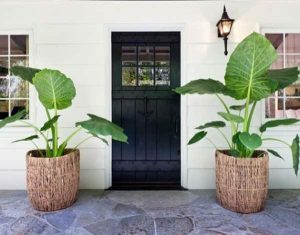 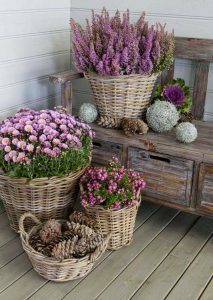 If you’re looking for another quick spruce up to make all the neighbors and passersby stop to admire, then front door gardens are your new best friend! 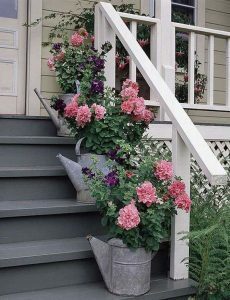 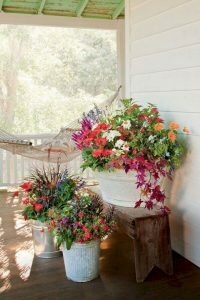 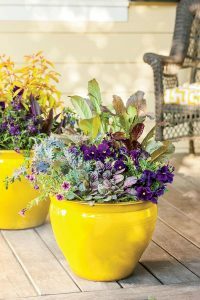 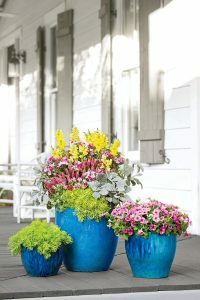 These eye-catching entries add class and style to any porch.